There’s been some requests about more posts on sustainable fashion and I am more than happy to contribute as fashion x future is a topic I love! I pinned down quite a lot in this post, The Way To Sustainable Fashion, but there’s always more to talk about! 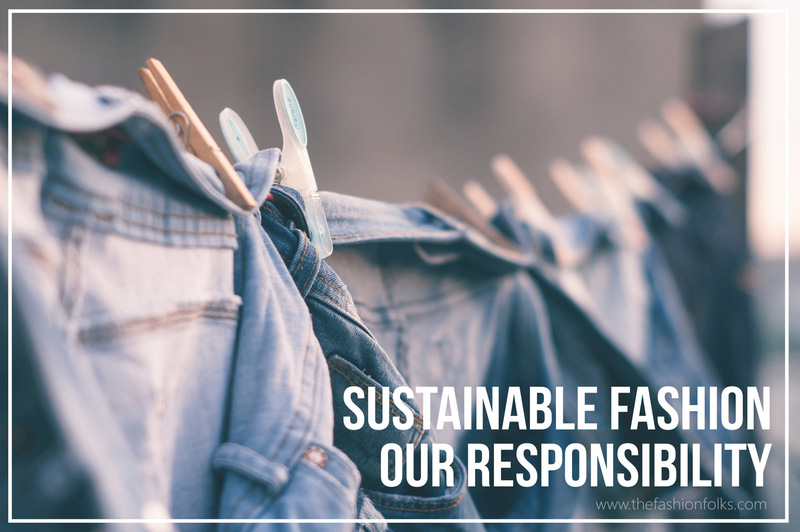 Here are some thoughts on our responsibility on sustainable fashion. Well the question should really be centered to why all fashion is not sustainable, really. The reality is that fashion today is dependent on the earth’s resources to a point where the earth can’t keep up. To be noted is that this is not exclusive to the fashion industry but more of standard than not for all other industries. The food industry, the car industry, the technology industry – and so it goes. There’s no denying that fashion is secondary to the essentials of a human life. We consume fashion beyond its functional aspects and centers fashion’s existence to status, superficiality and personal expression. 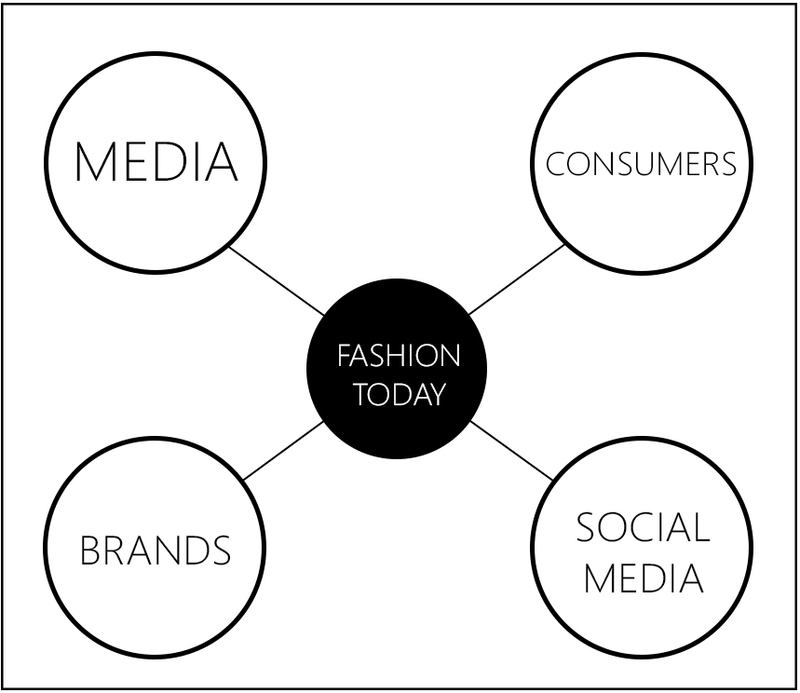 Most of the fashion world today centers around consumption, staying trendy and up to date. This triggers a behaviour of buying new and tossing old, hence the clothing pieces functionality still being intact. Beyond the time aspect, the price aspect has become more and more important in recent years. We want the fashion quick and we want it cheap. Store after store is pressing the prices to keep up with the request of the consumers. The quick, instant and cheap fashion occurs at the expense of the earth’s resources and the textile fabrics’ employees that are working under questionable circumstances. They pay the price we don’t. Why Is The System The Way It Is? So when did this begin? Well history partly says that the seasonal fashion is to “blame” on Marie Antoinette and her designer Rose Bertin. These two presented, and enhanced, the seasonal fashion where one should change the style ever so often. The seasonal fashion in the late 18th Century was still centered to the elite and those that could afford it. However, it still boosted the pace of trends and shortened the time span of something being defined as trendy. With the industrial revolution emerging completely in the 19th century, fashion went from hand craft to machine craft which made clothes easier to mass-produce. More clothes to more people, more trends, more often. 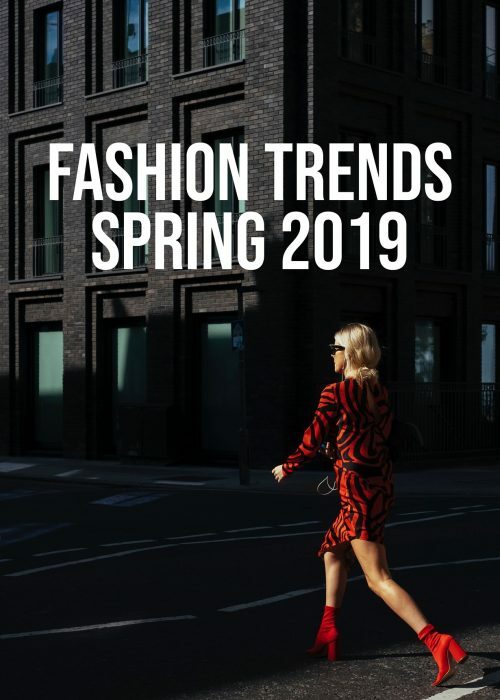 Fashion became more accessible to all classes of society and with stores and warehouses becoming a concept, it became easier to shop new clothes. Tailors became designers that became fashion brands that continued the circle of consumption. More people, more magazines, more media and more influences to increase the consumption pace and ability. That’s somewhere where we land today. We trigger each other (especially within the fashion blogger community) to look fresh, buy new and stay on trend. The celebrity obsession is present within fashion too as whatever the it-girls are wearing is what will be sold out shortly. Designers are doing four to six major collections each year. The high street shops are doing weekly news. The magazines are talking about what’s new, what you should wear to the beach this summer, how you dress like the Kardashians etc. It’s a never ending circle of buy new, fresh and trendy. As you’ve probably already guessed. Several things needs to change. On all layers and from all perspectives. We need to consume less fashion in order to decrease the production. The production that happens needs to be of sustainable proportions on all levels. From a human right’s perspective, sustainable materials, no animals used and no products that are harmful. The clothing pieces can’t neither be limited to one appearance and one function, but needs to expand beyond the limits of today. A pair of pants should and could be turn to shorts without interfering with the piece’s look. Instead of only being able to wear one side of the clothing piece, it should be reversible for maximum advantage. I could go on and on about this, but this part is better explained in this post. In order for us to consume less fashion, which is somewhat the complete opposite of what the world tells us now, we need to become more creative and innovative with what we already got. Style new, not buy new. 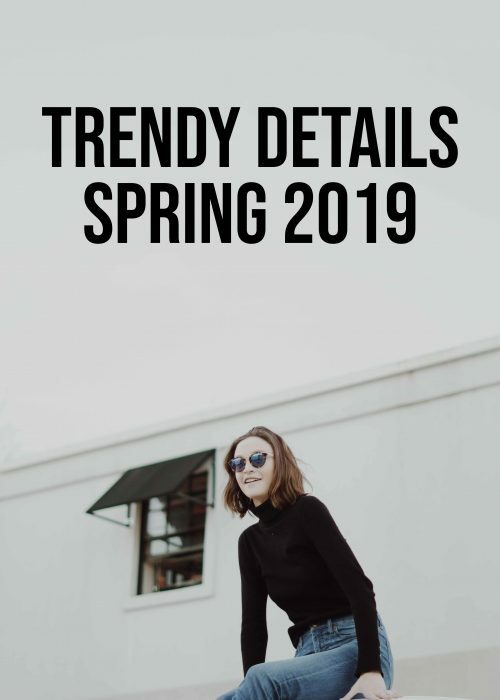 This is where all the endless posts on styling tricks tries to solve as styling is the one way to find new perspectives to old pieces. How can you wear a white shirt in 101 different ways? How can you build a wardrobe that you’ll never get tired of? Where your consumption of fashion is focused to investment rather than staying fresh. I’ve explained more specifically in this post, what you as a consumer can do, but here’s a repetition as well as a reminder on how you can contribute to a better (fashion) world for all. There’s, of course, room to discuss to which extent one should and is able to implement these steps, but I have no doubt that you are trying your best! Don’t buy new clothes because you don’t know what to wear. Invest in clothes you need, not what you want. Don’t toss clothes. 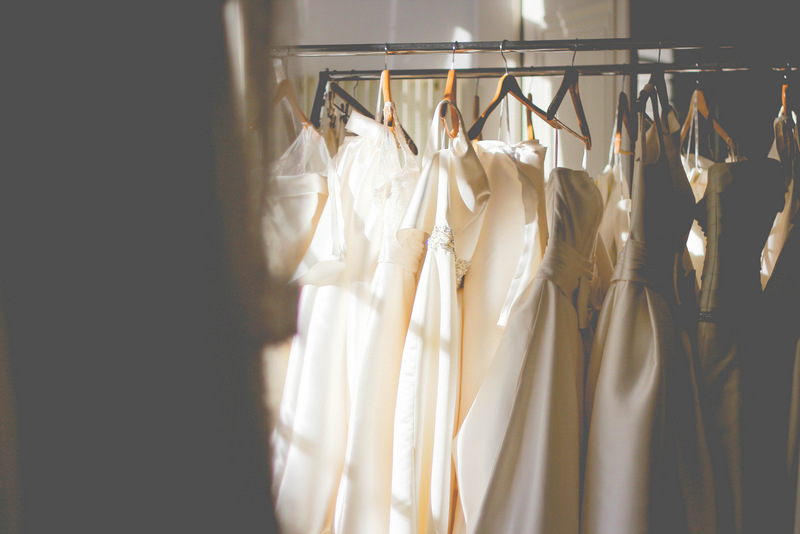 The clothes you are tired of should be put away for awhile and see if you re-gain your interest. If not, give them to friends and family, charity or recycle them in a store. 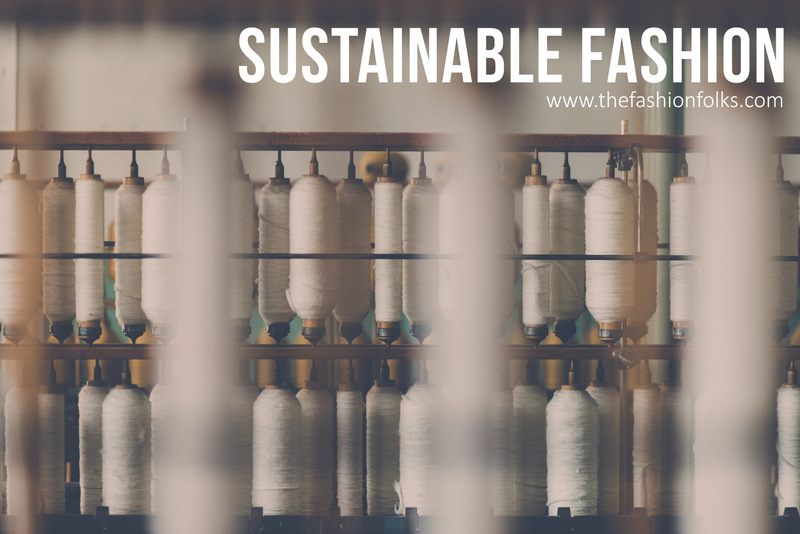 Buy sustainable fashion when buying. 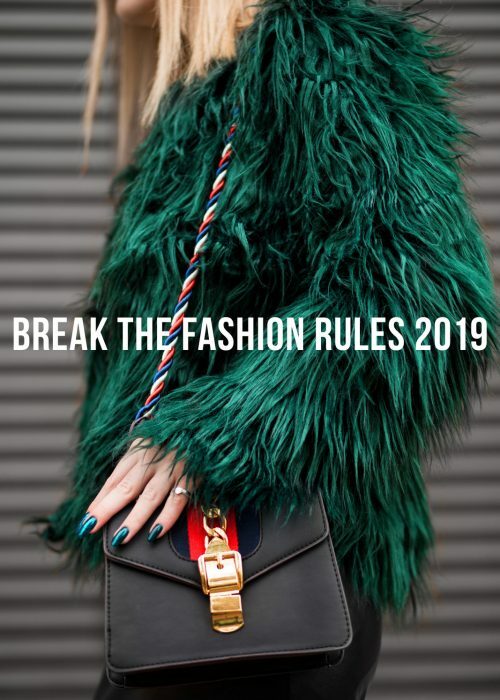 Instead of splurging on several items you’ll only wear for a short period of time, take that same amount of money and buy one sustainable clothing piece that will last longer. Go DIY. If you want to update your look, see what you can do with old pieces instead. Perhaps you already own a pair of jeans you can turn into shorts? Perhaps you have 7 identical white t-shirts and you can spare one for a DIY dye project? Stay inspired with your own and other’s style. That way you’ll always find new ways you can style your clothing pieces which will give them a new and interesting look. If you want (need) an off shoulder top, scan the sustainable fashion section first and see if you find your match. It will probably cost a bit more, but it’ll be a fairly produced clothing piece and can be worn without a bad conscience. Focus on where you can help. Perhaps you have a chic local fashion brand you want to support? Well, support them then. A small purchase for you can be essential for their small business, rather than a high street shop. Fix what’s broken is another way you can help. Don’t buy a new t-shirt because it’s a minor hole in yours. Try to sew it together or get help from a friend/relative or use your tailor’s services. It might seem like a step longer for you, than just to buy something new, but it’s a step for the earth that will leave a smaller footprint. I try to do my part by buying a lot of second hand items and remixing my wardrobe as much as possible. You shared some great tips! I completely love this post, there is so many damage that the fashion industry does to the world and one of them is not being sustainable. Hopefully this post will make others think about the problem and do better shopping. ”They pay the price we don’t” – girl that is such an important line, i feel as though it should be included in every piece/article focussing on sustainable fashion!! A very interesting post that’s for sure. I think it’s important to do what we can and to do our part. I find that re-using clothing and styling it in different ways really helps also and going through your old wardrobe and seeing how you can style things differently to create something new. This is a great post! I would like to shop and live more sustainably, so I really appreciate your tips. I do try to shop my closet and I wouldn’t say I go overboard with shopping, but I do tend to spend money at places that aren’t the most socially responsible, like Target, Loft, and Old Navy. That’s one thing I’d like to be better about. I couldn’t agree more and this post deserves to be share so it can educate others. I have been way more picky with my clothes recently, investing in pieces that I can wear multiple ways instead of following trends. Some might call my wardrobe boring, I call it simple but timeless. I love that you always include a bit of history. This is an extremely helpful post, and I’m going to share it next Friday. Everyone should read this and be aware. Personally, I’m not buying things unless I know I’ll get plenty of wear out of them. I find ways to wear the same pieces for years and years, and I don’t actually shop very often. Great post lady. I hope you have a fantastic weekend Mia! This was very interestig to read. I definitely try to give away or donate my clothes when I no longer want them, but I am guilty of purchasing for trends rather than long term. Very interesting and informative post, dear! Definitely we could get a more responsible mentality not only about fashion but respect every aspect of our life, since we’re slowly destroying the planet we live on! And even starting with easy and quick actions like you said is step ahead!